Its hard to match the impact of “great video”. With body language-related elements fundamental to effective human communication, the importance of interacting visually with someone / something cannot be underestimated. 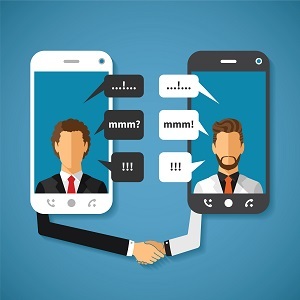 Face to face communication is by far the most “human” form of communication but is an interaction mode in the current digital, text and instant messenger rich world that is no longer always primary. With over 65 hours of video per minute uploaded to YouTube and over 4 million videos viewed daily, the use of video as a communications tool requires no validation. And whilst we briefly discuss technology-based elements for a moment, spare a thought for the importance of modern networks (local, mobile, Wan) as the essential, always-on secure transport layer of the rich video experience we now consider our norm. The ALS Ice Bucket challenge in a very short time frame has captivated all who can interact with this highly visual, social network-propelled activity. Who would have thought pouring an ice bucket of cold water over the head of someone, videoing it and posting it online would result in tens of millions of dollars raised for a previously under-funded medical condition. And through the use of social tools, always-on networks and highly intelligent mobile devices we are interacting with a worldwide community of “Ice Bucket” participants everywhere. But the challenge has demonstrated in the midst of the current mass of tablet and smart phone-based social interaction that few things can invoke the feelings of human bonding, trust, support, emotion, advocacy, excitement and downright “fun” like a face to face video of another human (in extreme happiness, discomfort, or both !!). And that’s why Unified Communications (the blending of voice, presence, instant messaging, video, etc on a single device) in the enterprise is fast becoming the “must have” technology-based solution across all devices to enable us to communicate as humans via the “most human form” of communication (face to face) more of the time, wherever we may be. It looks like those who have long said “video is the new voice” have finally found their voice. PS: If you participate in the Ice Bucket challenge don’t forget to send your text or contribution to the charity in question (the text is often £3 or £5). The fun you are having is making a difference.